The kids and I stopped in Sacramento, capital of California, but we had a special reason for doing so, and while the capital is a nice city, I wouldn�t necessarily recommend a special stop here if you don�t share the reason we had for staying overnight. I met a wonderful couple in New Zealand who happen to own the Minor League baseball team, the Sacramento RiverCats. 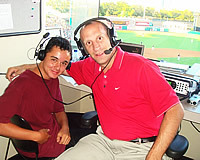 As it is Matthew�s dream to be a sports announcer, they graciously offered to let him participate in the official �announcing� of the game. 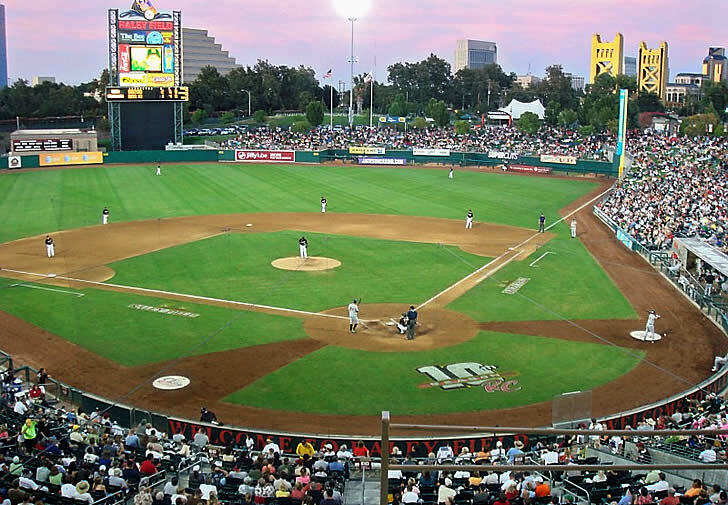 So, for us, it was the thrill of a lifetime, and the RiverCats are a superior team, feeding players into the Major Leagues, including Cy Young Trophey wnner, Barry Zito, who signed with the Oakland Athletics in 2002 as well as two rookies of the year, Bobby Crosby and Houston Street, in 2004 and 2005 respectively. 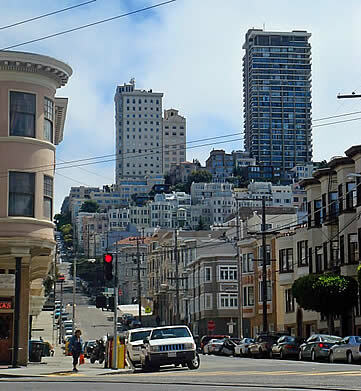 San Francisco – well, I could spend an eternity writing about the sights, sounds and feelings evoked by this city. 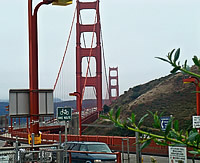 Its uniqueness, based on topography alone, with its persistent hills and valleys, cable cars, Golden Gate Bridge, Pier 39, Chinatown, the San Francisco Giants and nearby Sausalito. 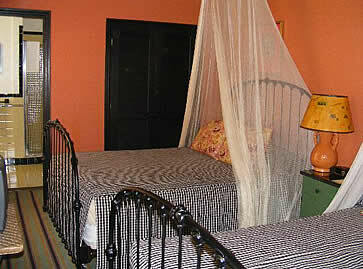 There would be something new to do for two weeks straight, without a doubt, and we had but two days. 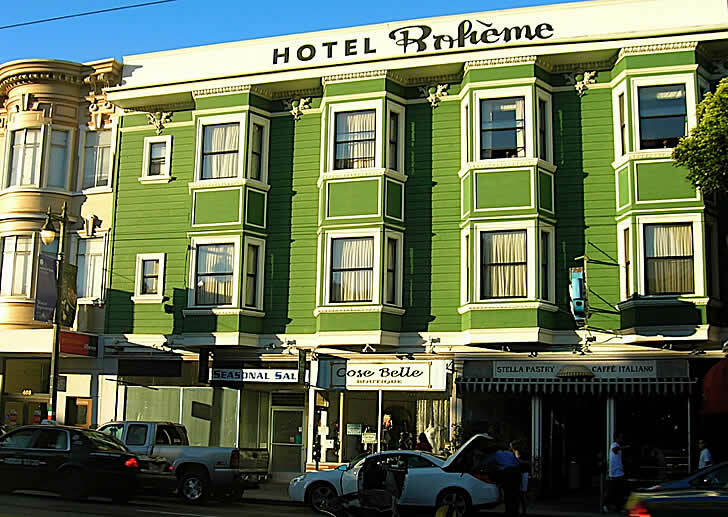 Luxury hotels abound, but I like to stay in North Beach, the �Italian-Town� of San Francisco. Unfortunately, there isn�t a �luxury� hotel, per se, in this part of town, so if opulence is your top priority, make a bee-line to the Fairmont or the Four Seasons. For me, I want to watch the older Chinese residents practice Thai Ci in Washington Square Park (North Beach is separated from Chinatown by about one block), and the Italian families picking up their hot bread from the bakeries. I like to drink the best cappuccino outside of Italy and taste the best pizza west of Arthur Avenue in the Bronx (NYC). If those are your priorities, then our haunt, La Boheme. 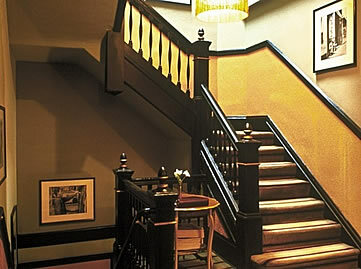 It�s really nothing but a bed & breakfast, without the breakfast, I might add, but it is on Columbus Avenue, in the heart of Little Italy and Chinatown, the most dynamic and energetic area of the city.